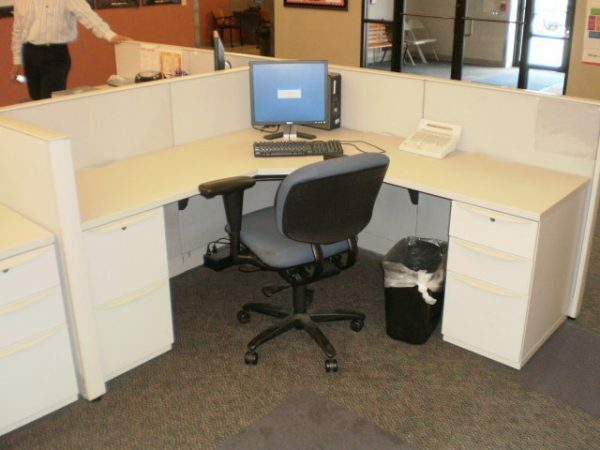 Haworth Premise 6×6 workstations with 42″ high panels. Stations are set-up in a shared configuration. 24×36 corner with (2) 24×36 returns. BBF and FF locking pedestals. Product is in good as-is condition. Finishes: off-white.